AT&T is set to launch alot of new devices in late 2010. 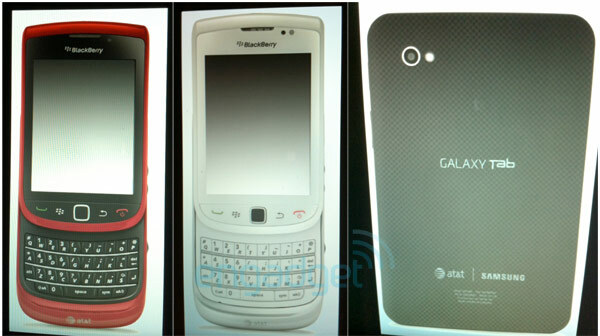 First of all we have limited editions of the Blackberry Torch in olive,white and red-black colors. More importantly the Android powered 7″ Galaxy Tab will also be shipping this year as well another 3 Andriod based devices. AT&T is also going to launch a total of six Windows Phone 7 based devices including the Samsung Cetus, Samsung Focus and HTC Surround. Overall, this holiday buyers will definitely have alot of new exciting devices to choose from thanks to AT&T. Enjoy Android Wear with LG G Watch on a 25% Discount!